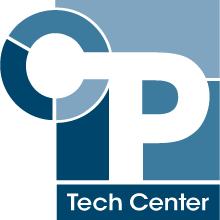 The National CP Tech Center prioritizes providing training opportunities emphasizing concrete pavement best practices and new products in the field. Training comes in many forms including conferences, lunch and learns, web-based learning modules, research reports, and other resources. The National Highway Institute (NHI) is offering free online training modules based on the Integrated Materials and Construction Practices (IMCP) Manual and the Concrete Pavement Preservation Workshop. For an archive of presentations and workshop minutes, visit the Archived Event Materials page.